LOL..that was really funny about the kids!!! Your creations are exquisite--wow...they are awesome, Maria!!! Amazing! And I love your precious cat too...how adorable! The jars are lovely! Are you going to scrap the cute picture of your kitty cat? 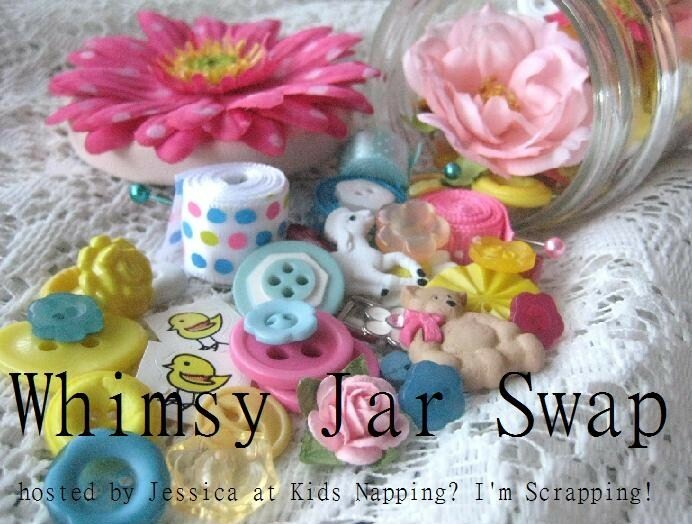 Maria your 'whimsy jar' are AMAZING!! 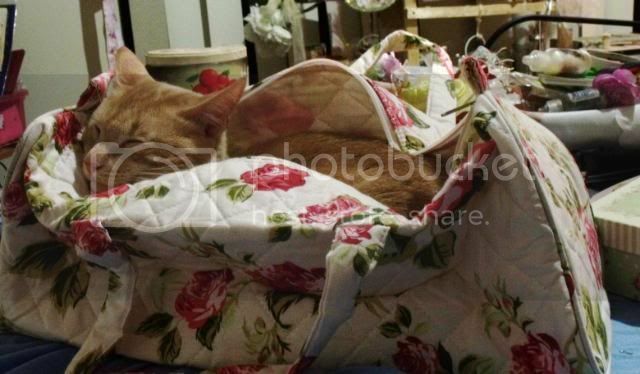 luv the pic of your puddy cat!! This is a great looking jar. I hope the kids help you out without too much whinning. Enjoy your hubby being home and the weekend. Maria, you must be the BEST swap partner!! I am presenting you with The Versatile Blogger Award...just come on over to my page for the button and details--congratulations! Thanks so much for stopping by The Old Parsonage and telling me about your pre-Christmas prep. What a great blog - love your craftiness! I hope you and your family are doing great and have had a terrific weekend. I'm amazed that you found a minute to even go online! We went to a barbecue and it was really fun..then, fireworks tonight in our neighborhood...they just legalized fireworks here in New Orleans, so that's really neat--so pretty! I just love love love love your blog. 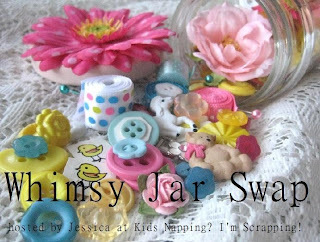 I am a new follower and I am also participating in jessica's whimsy jar swap.I wish you were close so I could pick your creative brain for some insight. Will you be posting any more pics or do you have a flickr account? oh my goshh Maria... your working is simply stunning !! I would love to swap with you! your pieces rock! Are their any publications that you can recomend? 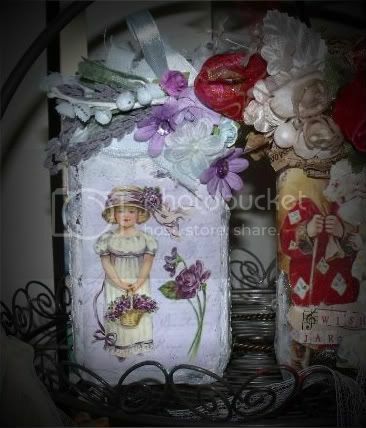 I am loving Crowns and Tiaras but would love to find a book that has some techniques similar to the jars you made.